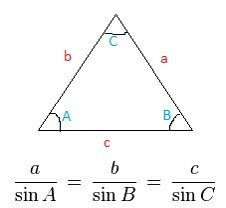 Home | Online Math Tutoring | Online Trigonometry Tutoring | What Is The Law Of Sines? Simplify trigonometry. Our expert and qualified trigonometry tutors understand your problems and guide you towards better grades in trigonometry. Our aim is to help the student understand concepts in trigonometry and master the techniques of solving problems quickly with confidence. 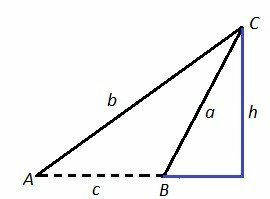 sine of angle B, and also equal to side c divided by the sine of angle C”. 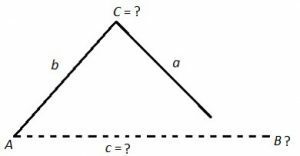 What are the Uses of Laws of Cosines? 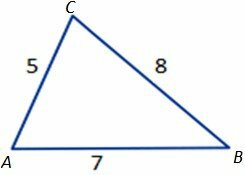 To find the angles of a triangle when we know all the 3 sides (SSS) of triangle. When should we use the Laws of Sines? In a triangle ABC, a = 10, b = 5, and ∠A = 45°. Find the value of ∠B. 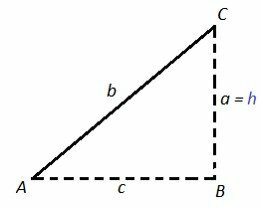 In triangle ABC, side b = 5 cm, c = 10 cm, and the angle at A is 60°. Find side a. Case I: Angle is acute. compare it with side a. 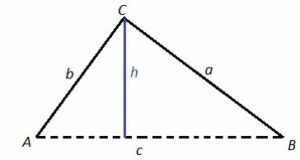 Then, compare ‘h’ to sides a and b . . .
Case I: If a < h, then NO triangle exists with these dimensions. 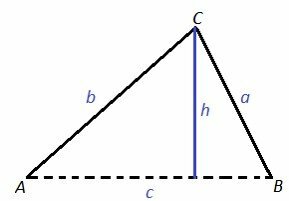 Then, compare ‘h’ to sides a and b . .
Case II: If h < a < b, then TWO triangles exist with these dimensions. If we open side ‘a’ to the outside of h, If we open side ‘a’ to the inside of h, angle B is obtuse. Case III: If h < b < a, then ONE triangle exists with these dimensions. 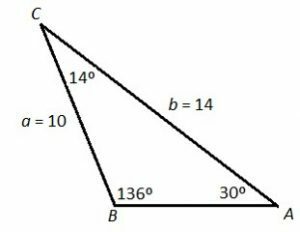 Since side a is greater than side b, side a cannot open to the inside of h, it can only open to the outside, so there is only 1 triangle possible! Case IV: If h = a, then ONE triangle exists with these dimensions. 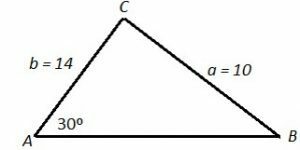 If a = h, then angle B must be a right angle and there is only one possible triangle with these dimensions. 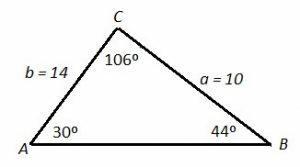 Given a triangle with angle A = 30°, side a = 14 cm and side b = 15 cm, find the other dimensions. Angles could be 30°, 44°, and 106°: sum 180°. The angle from Quadrant II could create angles 30°, 14°, and 136°: sum 180°. Problem 1. A = 40; B = 20; a = 2. Find side b. Problem 2. If b = 5, c = 2, A = 30, find a. Problem 3. 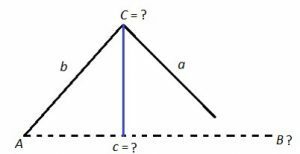 Given ABC, a = 8, b = 5,c = 7, find C using law of cosines. Play with triangles the eTutorWorld way! Make your trigonometry tutoring sessions more fun and interactive. You will have an experienced and certified tutor who will help you succeed. We aim to effectively develop and sustain high-quality out-of-school learning and deliver a curriculum that each student will enjoy. Be it homework help with trigonometry or practice worksheets for your math hour at home, eTutorWorld has it all! It’s really magical yet triangular. Find out for yourself by taking a Free Trial Session with us.